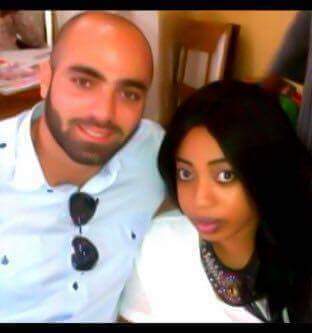 Here is the new wife of Ooni of Ife, Olori Wuraola Adeyeye and her former husband Elie Khouri. Olori’s bosom friend Zainab who exposed her friend for engaging in shady affairs with several men, alleged that as early as December 2015, she was still married to her Lebanese lover Elie Khouri. “Kabiyesi love fair ladies so am not surprise, she is currently pregnant for the king but someone who was married as at December. They didn’t consult Ifa for kabiyesi himself (he bribed the Afobajes with cash and cars) so how will they consult Ifa for their new ashawo yeyelua. May God help us that stool has been lessened so sad.” the source said. She was also said to have allegedly had a love affair with former deputy senate majority leader, Abdul Ningi. The love affair allegedly crashed over infidelity. The beautiful woman who is in her 30s met and married her last husband in 2015. As at July 2015, Sonia still flaunted Eli Khoury on her social media account. She has however deleted all her social media accounts.